By definition: Flue gas desulfurization is commonly known as FGD and is the technology used for removing sulfur dioxide (SO2) from the exhaust flue gases in power plants that burn coal or oil to produce steam for the steam turbines that drive their electricity generators. Capture of SO2 is accomplished by devices known as scrubbers. The devices combine the sulphur compounds with a calcium containing sorbent, generally lime (CaO) or limestone (CaCO3), to create a slurry. The slurry can be safely discharged after treatment or turned into useful byproducts. 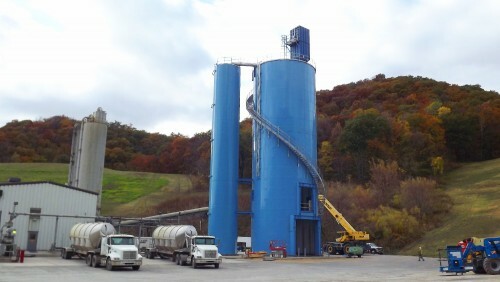 Tank Connection is one of the largest suppliers of limestone storage tanks and silos used in FGD applications in North America. 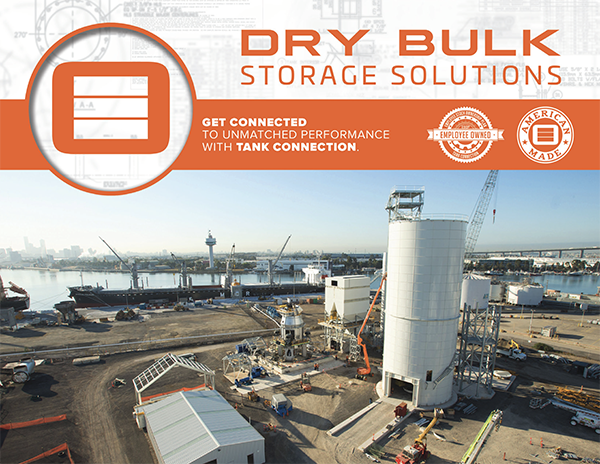 Tank Connection leads the industry in turnkey storage tank systems used for limestone, lime, hydrated lime, pebble lime and quicklime storage applications.